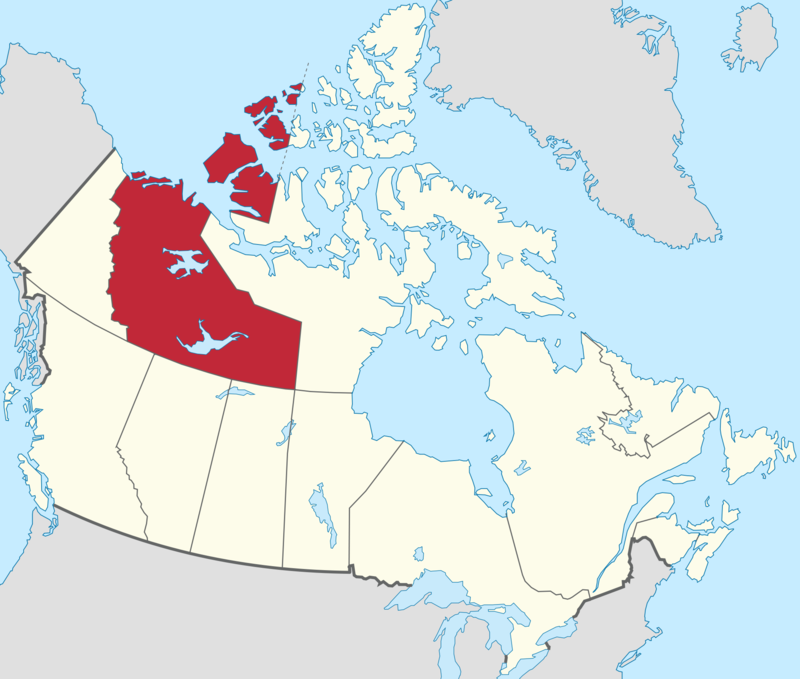 The Northwest Territories is a federal territory of Canada. Located in northern Canada, the territory borders Canada’s two other territories, Yukon to the west and Nunavut to the east, and three provinces: British Columbia to the southwest, Alberta and Saskatchewan to the south. It has a land area of 1,140,835 square kilometres (440,000 sq mi) and a population of 41,464 as of the 2006 census, an increase of 11.0% from 2001 In 1967 Yellowknife became the capital as a result of recommendations by the Carrothers Commission. Geographical features include Great Bear Lake, the largest lake entirely within Canada,Keller Lake and Great Slave Lake, as well as the Mackenzie River and the canyons of the Nahanni National Park Reserve, a national park and UNESCO World Heritage Site. Territorial islands in the Canadian Arctic Archipelago include Banks Island, Borden Island, Prince Patrick Island, and parts of Victoria Island and Melville Island. The highest point is Mount Nirvana near the border with Yukon at an elevation of 2,773 metres (9,098 ft). While Nunavut is mostly Arctic tundra, the Northwest Territories has a slightly warmer climate and is mostly boreal forest. About half of the territory is above the tree line.